You may be looking for an online weight loss surgery seminar because losing weight has been a fight for you. While some people seem to be able to change their diet, add a little exercise, and the weight comes off, others experience a battle losing weight often without success. It can be both exhausting and overwhelming to try one diet and exercise plan after another with little long term success. No matter how tired you are of the war against your weight, you can’t give up. Weight loss surgery can offer you hope, and the chance to jump start into a healthier lifestyle. If you’re thinking about weight loss surgery, getting started can be overwhelming. With so many surgical options available, it is important to have detailed information about each procedure in order to decide which alternative is best for you. Our online weight loss surgery seminar is a simple way to give you the answers that you need. In the comfort of your own home, at your convenience, you can get online to attend our seminar. This is your opportunity to review the most popular options in bariatric surgery, like the Lap-Band procedure. Other popular, but more involved measures, include the gastric bypass and gastric sleeve procedure, in which your stomach is permanently altered. Your weight loss surgery solution will depend on you. You may wonder if bariatric surgery is a wise choice for you and your situation. Research has shown that weight loss surgery can result in long-term benefits when it comes to your health. You can reduce your risk of developing heart disease, diabetes, or cancer. Our online weight loss surgery seminar can explain the benefits of bariatric surgery and help you to make a decision that can change your life. While there are no guarantees in life, obesity is a serious risk factor and should be treated as such for your overall well-being. Watch our online weight loss surgery seminar to decide if you are a candidate for a bariatric procedure. If you have tried many weight loss programs and remain significantly overweight, it’s time to look in a new direction. If your body mass index is over 40 and you are at least 100 pounds overweight, bariatric surgery could be the best alternative for you. In addition, bariatric surgery is recommended for those who have a body mass index over 35 and have health complications that are related to their weight. If you have sleep apnea, high blood pressure, or high cholesterol, in addition to being overweight, you need to take control of your body before it is too late. Weight loss surgery is not recommended for individuals who have a problem with their endocrine system, drug addiction, or dependency on alcohol. You need to understand all of the risks that are involved with any type of surgery. Bariatric surgery is an option that should be considered with your eyes wide open. You don’t want to make this decision lightly. As you view our online weight loss surgery seminar, you’ll realize that bariatric surgery is not a quick fix. Unlike other options that promise you fast results, weight loss surgery is only the beginning of your journey. It is intended to be a safe alternative that will help you to adopt a new lifestyle, one that you can maintain into the future. Diet fads and extreme fitness plans are too difficult to sustain, not to mention they are not safe. Any plan that causes rapid weight loss, whether it involves diet medication, hormone injections, crash diets, or intense exercise, can put your health at risk. When you go to extremes to lose weight quickly, you are likely to put it all back on again. Bariatric surgery focuses on restricting the size of your stomach, ensuring you will eat less while you also have less of an appetite. When your stomach is altered, whether it’s through the use of the Lap-Band, gastric bypass surgery, or the gastric sleeve, it will make it easier to stay on the program. As you eat less, the weight will gradually come off at a safe rate. Exercising goes hand in hand with a healthy diet. As more pounds melt away, it will be easier to keep moving. You can adopt healthy habits that include making wise choices when you eat, portion control, and embracing an active lifestyle. Once you finally reach your goal, you will have the tools to stay on track for a lifetime. It’s time to begin your weight loss journey that will take you to the finish line. Watch our online weight loss surgery seminar. It will only take a few minutes of your time to discover what you need to know about weight loss surgery. 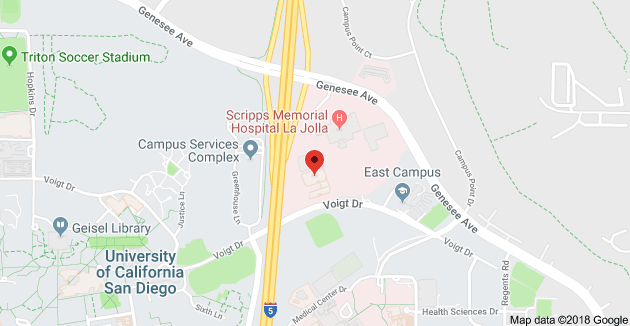 The next step is to give Olde Del Mar Surgical a call at 858.457.4917 to set up a consultation. You can lose the weight and keep it off. 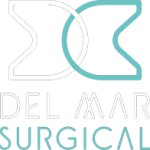 Olde Del Mar Surgical is here to help.